Peter Charles, who retired eight years ago, says his main investment goal is now to supplement a small company pension, while also ensuring there are sufficient funds to leave an inheritance to his two daughters. Charles who has a SIPP, a stocks and shares ISA and a dealing account with AJ Bell says: “I want to make sure that in the event of my demise my wife has enough money to live comfortably. “I’d also like to leave an inheritance to my daughters. 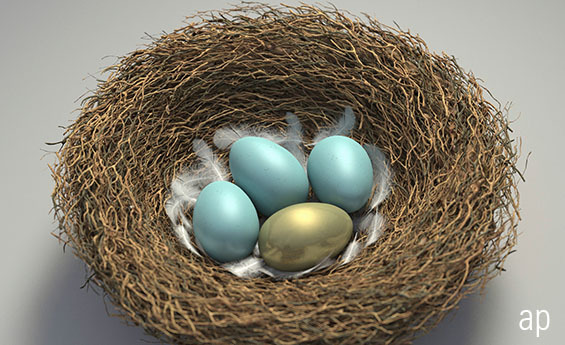 In the past I have transferred some of my shareholdings to them, taking advantage of the seven-year rule.” This stipulates that qualifying gifts are free of IHT provided the donor lives for a further seven years. Charles has been a keen investor for many years, and this has enabled him and his wife to build decent savings and investment portfolio. He keeps a reasonable sum in cash, for emergencies. Alongside this are his longer-term investments. He prefers to invest in individual shares, rather than funds. He says: “This is a personal decision borne out by past experience of a poor performing pension fund. “My approach to investing is simple: if my money may be at risk – or lost – through a poor investment choice, then I would prefer to be responsible for it myself, rather than pay someone to do it for me. Unilever has a three-star rating from Morningstar. The Anglo-Dutch conglomerate manufactures and distributes many well-known brands (including Ben & Jerry’s ice cream, Lipton tea, Dove soaps and shampoos and Marmite). Morningstar points out that this “broad portfolio of products across multiple categories” gives the company the price advantage derived from economies of scale, and an entrenchment in the supply chain of retailers. For this reason it deems the company to have a wide economic moat. Shareholders in Unilever has seen steady returns in recent years. The company has delivered annualised total return of between 13.9% and 14.9% over three, five and 10 years - according to Morningstar data. Meanwhile, Royal Dutch Shell has a four-star rating from Morningstar. The company’s share price has risen strongly over the last two years, after a significant dip in 2016. He adds: “Shell closed out 2018 by reporting better-than-expected fourth-quarter results, including strong earnings and cash flow growth. Insurance and savings giant Legal & General has delivered strong returns for shareholders over the longer term. According to Morningstar figures it has delivered annualised total returns of 23.45% over the past 10 years. Aside from these larger FTSE 100 companies, Charles says he has also dabbled in some smaller mid-sized companies, in the hope that they will “mature” into larger players, delivering decent returns for patient shareholders. This includes companies such as DS Smith (SMDS), Hiscox (HSX) and Homeserve (HSV). Alongside this Charles allows himself a small fixed amount in which to buy shares that are more of a gamble. Despite this though, Charles says that he doesn’t worry too much about future economic or political problems. He has always found that investing delivers better returns, over the longer term at least, than playing it safe and keeping savings in cash.